Your average baby or toddler might be too young for actual Scrabble, but they’re never too little to begin learning to recognise the letters in their name. 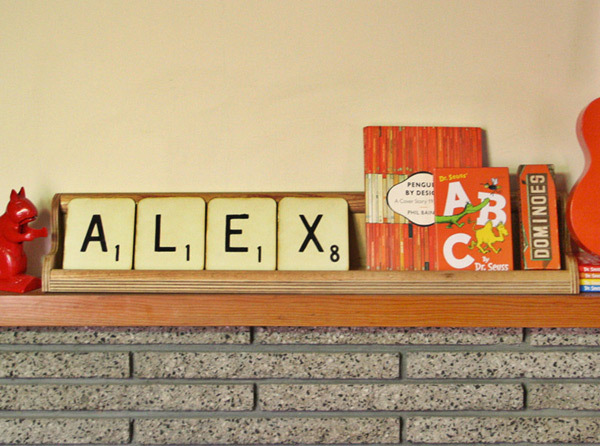 Give them a head start with these charmingly retro Word Play Letter Tiles from Pop & Rocket. I fell in love with these letters after stumbling on them at a recent Melbourne design market. Made right here in my hometown of Melbourne by newcomers Pop & Rocket (that’s secret code for artist Bridget Melling-Williams and designer Leanne Costantino), the Word Play Letter Tiles look straight from a vintage Scrabble set. Only bigger. Much, much bigger. 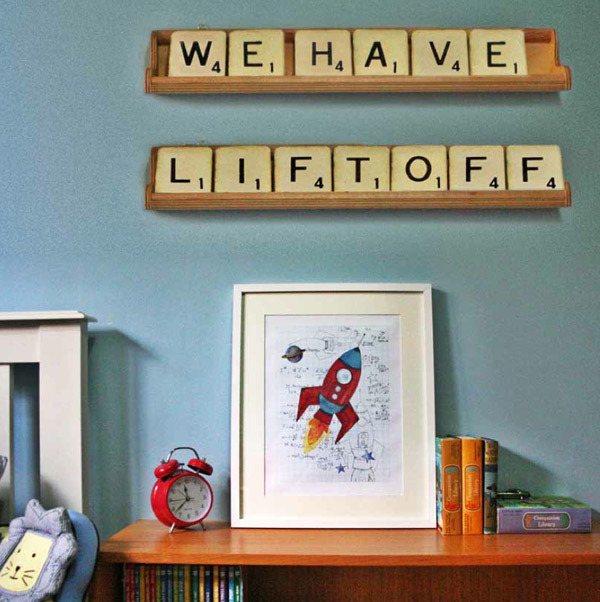 They’re just the thing for adding a quirky personalised touch to a bedroom or nursery, whether you spell out your child’s whole name or choose just a single letter, and can be mounted on a wall or simply displayed on a shelf. For an extra special display, Pop & Rocket also make a very special shelf. 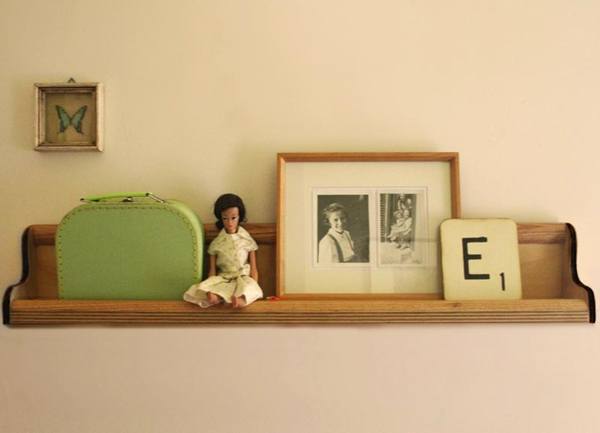 The handcrafted Word Play Shelf (pictured above and below) with its gentle retro-inspired curves is designed to be a perfect fit for the letters, but would also look grand displaying all kinds of other treasures. It comes in natural timber, with red, orange and green shelves to be added to the Pop & Rocket mix very soon. It can be wall mounted too, or displayed on a bookcase or mantel. 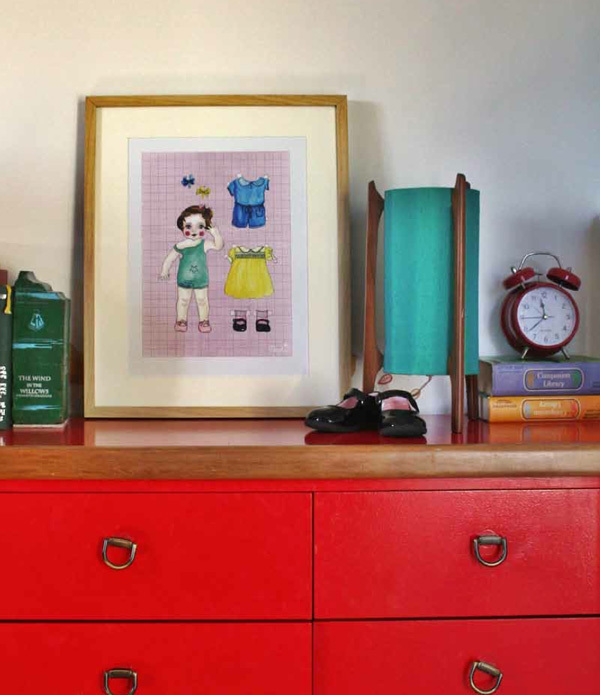 If all that retro goodness isn’t enough, you might also want to check Pop & Rocket’s darling prints. Designed to fit into Ikea’s Ribba frames, there’s a robot, rocket or paper doll, all layered on a rather nostalgic graphic paper background. Swoon. Letters cost $7 each, the shelves are $90 and prints a mere $25. Find all these goodies online at Pop & Rocket.